If you�ve already fitted lowering springs you can further improve your vehicle�s driving dynamics with these fantastic ST sport shock absorbers/dampers. ST sport shock dampers are an OEM quality replacement that will transform the way your car feels and handles! 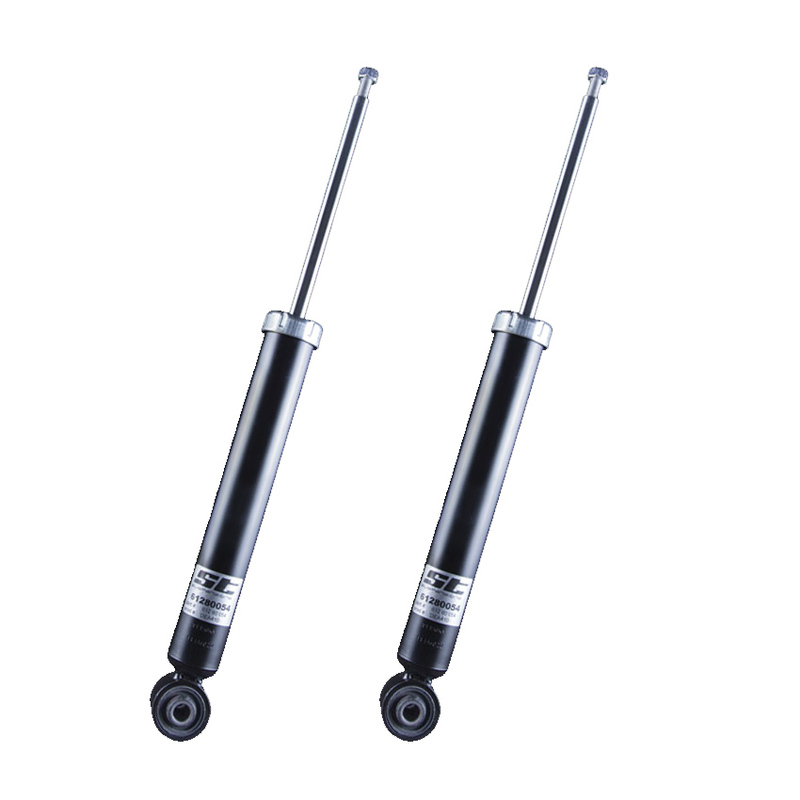 ST sport shock absorbers/dampers are manufactured with heat-resistant twin-tube dampers offering fixed damping characteristics. Their low friction and pressure resistant housing features a high-quality mono block guide and seal package for maximum longevity in ALL weather conditions. What�s more, a shortened chrome-plated piston rod makes the sport shock perfectly suited for lowered vehicles! The use of high quality components ensures that each ST sport shock/damper performs at its best for the maximum period of time. The use of a shortened piston rod ensures a sufficient pre-load of the lowering spring under hard driving conditions. With their fixed damper characteristics, the ST sport shocks ensure a greater driving experience for hundreds of makes and models.